David has over 14 years experience as Managing Director in two IT service companies and has been a National Outsourcing Association Director for two years. 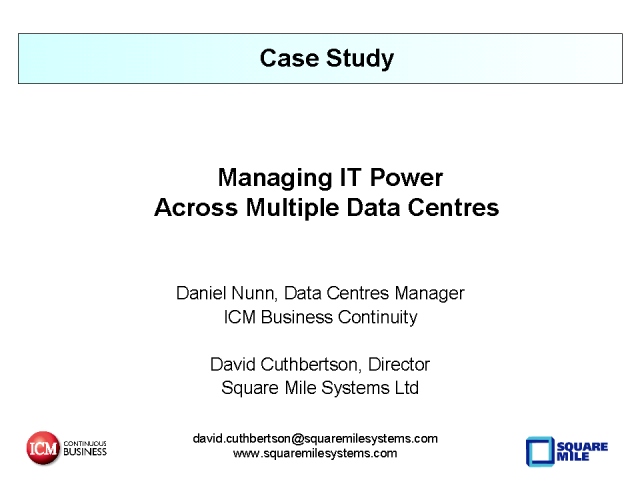 He is also a regular speaker on best practice for ITSMF, BCS and IOD. David is a founding Director of Square Mile Systems who deliver best practice infrastructure Management, and Gendata, a software development house for asset management solutions.